6405 Old Oak Ridge Rd. 1539 Mt Hope Church Rd. To volunteer with a fire department, please complete the application below. All fields are required. Please choose the fire department with which would you like to volunteer. take volunteers; please choose the closest Guilford County station. References: (Other than relatives) One must be an employer. Have you ever been in the Fire or Rescue Service previously? If yes, please answer the questions below. I understand that willful falsification of information or the withholding of information requested on this application will result in my application not being accepted by the fire district. Typing my full name and the date of this application below will server as my “electronic signature” verifying my understanding of the terms of this application and the accuracy of the information provided. I, , DO HEREBY AUTHORIZE ANY MILITARY ORGANIZATION, DOCTORS, INSURANCE COMPANIES, EDUCATION INSTITUTIONS, GOVERNMENTAL AGENCIES, AND INDIVIDUALS TO FURNISH THE CHIEF OF A FIRE DEPARTMENT IN GUILFORD COUNTY, WITH ANY OR ALL AVAILABLE INFORMATION REGARDING MY BACKGROUND IN ORDER THAT THE CHIEF OR HIS AGENT MAY DETERMINE MY SUITABILITY FOR PUBLIC SERVICE. I AUTHORIZE MY CURRENT AND/OR FORMER EMPLOYERS TO GIVE ANY INFORMATION REGARDING MY EMPLOYMENT, TOGETHER WITH ANY INFORMATION THEY MAY HAVE WHETHER OR NOT IT IS ON RECORD. I HEREBY RELEASE THEM FROM ANY DAMAGE WHATSOEVER FOR ISSUING SAME. I ALSO PERMIT THE CHIEF OR HIS AGENT OF A FIRE DEPARTMENT IN GUILFORD COUNTY TO CONDUCT A POLICE AND COURT RECORDS INVESTIGATION OF MY BACKGROUND. I HEREBY CERTIFY THAT THERE ARE NO WILLFUL MISREPRESENTATIONS IN OR FALSIFICATION OF THE ABOVE STATEMENTS AND/OR ANSWERS TO QUESTIONS. I AM AWARE THAT SHOULD THE INVESTIGATION DISCLOSE ANY SUCH MISREPRESENTATIONS OR FALSIFICATION, MY APPLICATION WILL BE REJECTED. I UNDERSTAND THAT, IF ACCEPTED, I WILL BE ON PROBATION FOR A PERIOD OF ONE YEAR AND DURING THAT TIME I AM SUBJECT TO BEING DISCHARGED FOR ANY REASON. BY MY USING THE E-SIGNATURE FEATURE OF THIS ONLINE APPLICATION, I REPRESENT AND WARRANT THAT I HAVE THE LEGAL RIGHT AND AUTHORITY TO AGREE TO ALL TERMS CONTAINED IN THE ELECTRONIC RECORDS OF THIS ONLINE APPLICATION. I FURTHER AGREE THAT MY USE OF THE E-SIGNATURE FEATURE OF THIS ONLINE APPLICATION CONSTITUTES AND “ELECTRONIC SIGNATURE” AS DEFINED BY THE ELECTRONICS SIGNATURES IN GLOBAL AND NATIONAL COMMERCE ACT AND THE UNIFORM ELECTRONIC TRANSACTIONS ACT, AND THAT I HAVE ENTERED INTO AND ACCEPTED THE TERMS SPECIFIED HEREIN FOR THE USE OF THE E-SIGNATURE FEATURE OF THIS ONLINE APPLICATION. 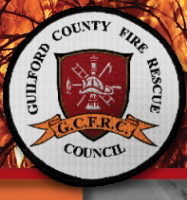 Copyright © Guilford Fire and Rescue Council. All rights reserved. Web development by A Better Web, Inc.